107 mins. Rated R for strong language including some sexual references. Whiplash was a strange entry to the list of Best Picture nominees at this year’s Oscars. It kind of just came out of nowhere. Everyone was talking about this movie that came out at the beginning of the year and just sort of slipped by everyone. All of the sudden, though, people were talking about J.K. Simmons (TV’s The Legend of Korra, Spider-Man) and his riveting performance as a musical maestro with a sharp edge. 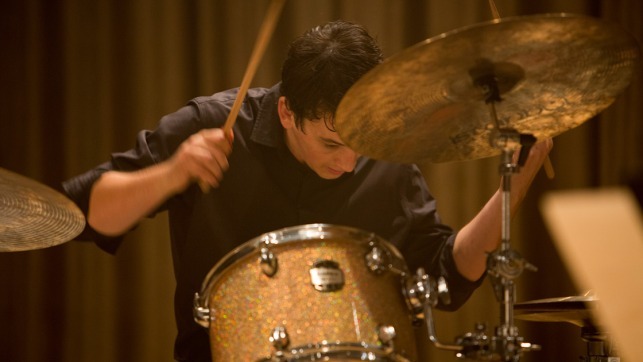 Whiplash tells the story of Andrew Neimann (Miles Teller, The Spectacular Now, The Divergent Series: Insurgent), a fantastic drummer who dreams of entering stardom at any cost. He will do absolutely anything to become one of the greats. This brings him to the attention of Fletcher (Simmons), a bandleader at the prestigious music school Andrew attends. Fletcher has the hottest ensemble on campus and everyone wants to join, but there are costs to working with the best, as Andrew soon discovers. As relationships with his girlfriend and father (played by Paul Reiser, Aliens, Life After Beth) crumble around him, can Andrew hold it all together? 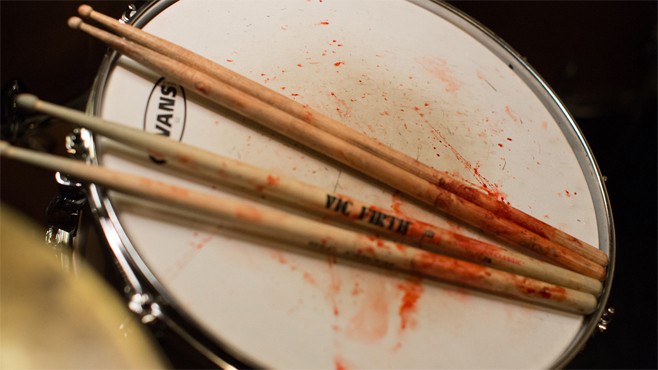 Whiplash is, to put it best, a jarring piece of art. It is difficult to watch and, in equal measures, glorious and destructive. The performances by Teller and Simmons are intense and building and emotionally draining. The screenplay, by writer-director Damien Chazelle, is an engrossing pile of paper, with themes of stardom and loneliness worked in. 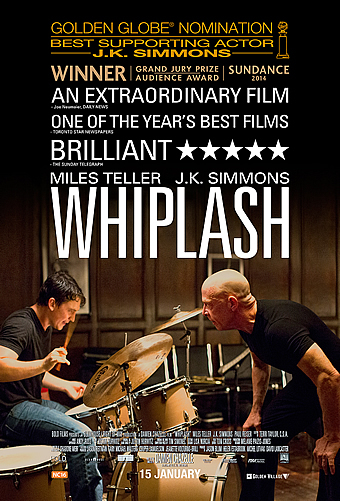 Whiplash feels like a rock concert that you want to see but don’t necessarily want to be a part of. The stellar work from just about everyone involved is top notch. My only complaint is that it does lull for a bit in the middle, but other than that, this is a movie you need to see. Now. Seriously. Go rent it now.